Comfort and practicality unite on the Lotus Talma full shoe slipper. 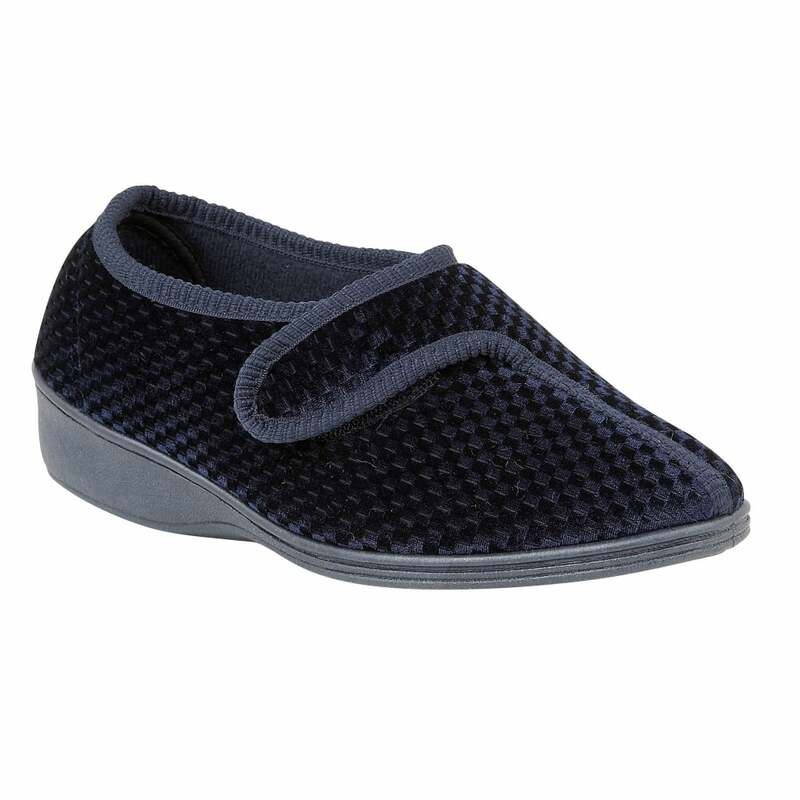 This traditional slipper encompasses a blue textile upper that features a subtle plaid check and a Velcro fastener for improved fit. In addition, Talma also encompasses a rubber outsole to enhance durability.